After years of success dodging Kryptonite on the pages of comic books Superman continues to find his way onto the big screen. Just weeks away from flying into theaters, ”Man of Steel” is one of this summer’s most anticipated films and if movie audiences keep knocking down doors to see super action heroes, then expect it to come out of the gate like a speeding bullet. “Man of Steel” is directed by Zack Snyder, who was behind the lens in the blockbuster “300”, and the script was penned by David S. Goyer. Goyer, who is no stranger to comic book action movies, also wrote “Batman Begins” and “The Dark Knight”. Several years in the making, “Man of Steel” first got its legs in 2008 when Goyer pitched a modern day Superman concept to producer Christopher Nolan. With Nolan’s success directing “Batman Begins”, “The Dark Knight” and “Dark Knight Rises” and the financial success of some of these films, Warner Bros. bit and Man of Steel took off from there. One of the most challenging and over-analyzed undertakings when producing these Superman films is deciding who to cast as the next Clark Kent. The superpower from the mega-advanced planet of Krypton has been portrayed by several actors over the decades; including Christopher Reeve who had a long run in the 70’s and 80’s and Brando Routh who banged heads with villain Lex Luther in “Superman Returns” in 2006. So who is flying into Lois Lane’s heart this time around? Henry Cavill will play the Man of Steel. The 30-year-old Cavill, who starred in “The Immortals” in 2011, is joined by an all-star cast that includes Amy Adams, Russell Crowe, Lawrence Fishburne and Kevin Costner. Adams who was nominated for an Oscar for her performances in “The Master”, “The Fighter” and “Junebug”, plays Lois Lane. Riding the shoulders of the most adored, recognizable comic book character, a storyline that has been well received over the decades and outstanding SFX, Warner Bros. and Legendary Pictures chose to release the film on June 14, 2013 near the peek of the summer. While the estimated budget for “Man of Steel” hit an estimated $225M, the budget for “Superman Returns” in 2006 was $209M. “Superman Returns” had a box office return of $360M worldwide, a number that had the champagne corks popping back then but a figure that would be considered a failure today. But with more bone being dumped into marketing American-made films in the expanding overseas market, Man of Steel is expected to compete with their rival Marvel Comics characters. Marvel Studios’ “The Avengers” ($207M) and “Iron Man 3” ($175) hold the top two spots for record opening weekend box office returns, Man of Steel’s marketing and PR have been out in full force months before the film’s release. The Superman character was first created in 1938 and has a never-ending life span and was first brought to the small screen in the 1950’s. George Reeves starred in that series called “Adventures of Superman” as the man who was “faster than a speeding bullet, more powerful than a locomotive, able to leap tall buildings in a single bound.” Reeves also holds the title of being the first Superman to make it to the big screen when he starred in the cheesy “Superman and the Mole Men” in 1951. While Reeves would stand, hands on his hips with bullets ricocheting off his chest, the actor later took a real bullet and died a mysterious death. Some deemed the bizarre event accidental but others ruled it suicide or murder. Christopher Reeve the star of the “Superman”, “Superman II” and “Superman III” films also suffered a bizarre twist of fate when a fall from a horse paralyzed the actor. Confined to a wheelchair the rest of his life, Reeves fought for stem cell research and died on October 10, 2004 at the age of 52. While these two stars experienced tragedies, several of the other actors who stepped into the red cape and donned the ‘S’ went on to enjoy long, illustrious film and television careers. 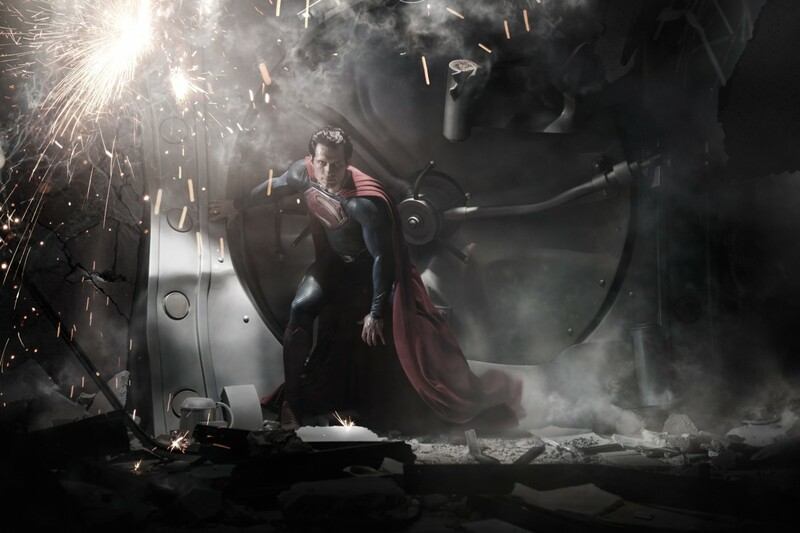 Man of Steel is rated PG-13 and can be seen in 3D and 2D in select theaters and IMAX on June 14, 2013.